The Counter Strike: Global Offensive (CS:GO) Pro League Season Six Finals will be held in Denmark. The top 12 CS:GO teams from Europe and North America will be battling it out for their share of the $1 million prize fund in Odense, Denmark, December 8-10, 2017. Looking for the best FPS out there? We got you covered. There are also plans to run an all-new gaming expo at the same time, too. The Pro League is the longest running CS:GO league. The new season kicks off on August 22, 2017, with offline group stages planned for December 5-6 before the quarter-, semi-, and grand finals commence on December 8 at the Sparekassen Fyn Arena. Looking to be there? Tickets for the finals are on sale now from the Pro League CS:GO website. 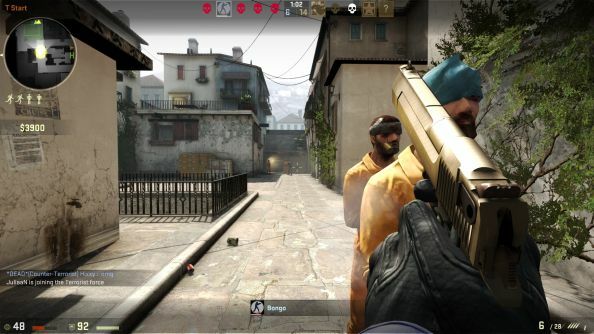 CS:GO’s latest update went live on August 7, and brings some big changes to the Tec-9 ahead of a planned wide-ranging pistol rebalance. It also squashes the periscope jumping bug made infamous by BIG at last month’s Krakow major, and optimises the game’s launch on Linux OSes.